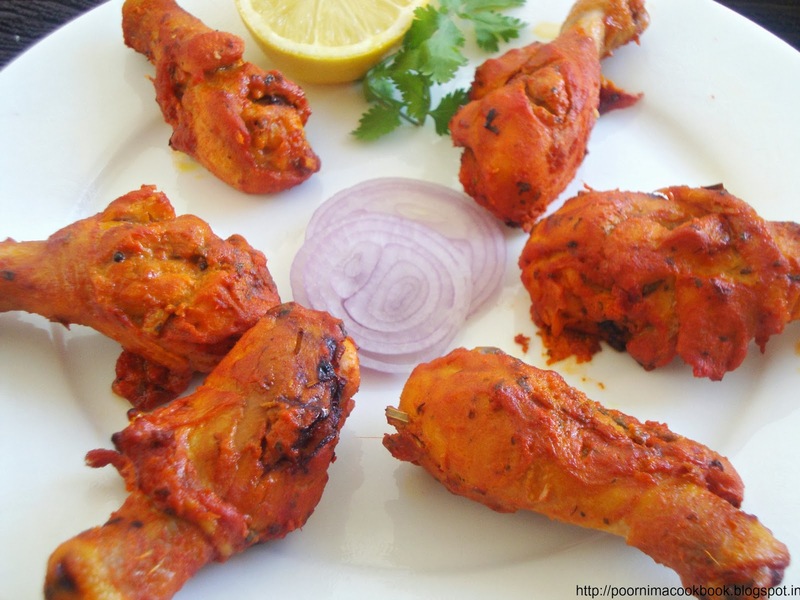 Tandoori chicken is a tasty and popular dish from India. This mouthwatering starter is a sure hit for parties (of course, for non - vegetarians). Try this out and enjoy! Clean the chicken legs and make slits on each piece. Rub it with salt and 1 tbsp lemon juice; Keep aside for ½ an hour. 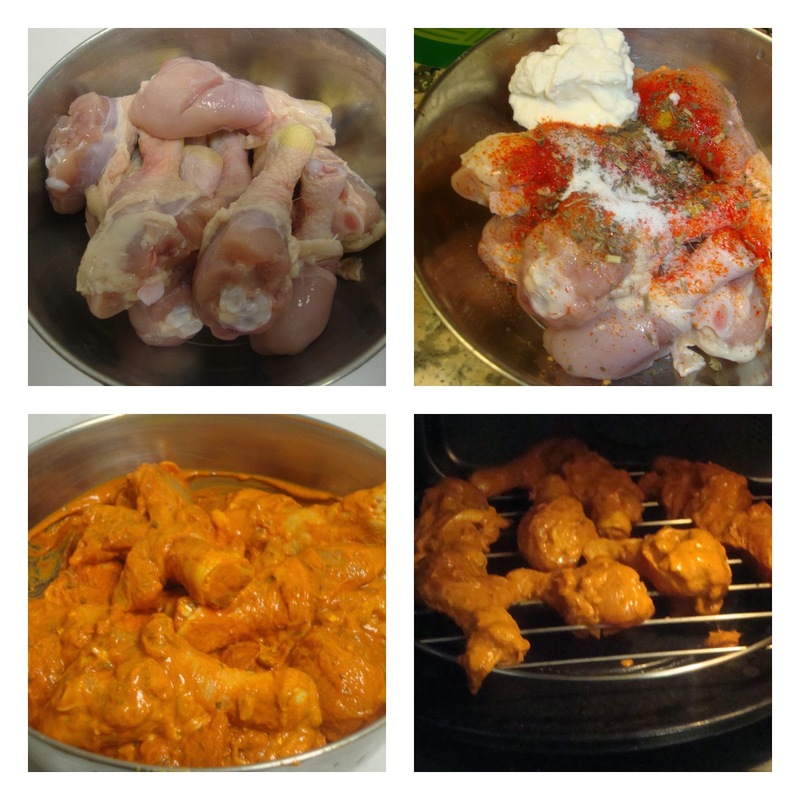 To marinate; mix yogurt / curd (without water), turmeric powder, red chili powder, coriander powder, cumin powder, ginger garlic paste, garam masala powder, salt and remaining lemon juice. Turn on your oven to grill mode. Place the chicken on the grill racks in oven with a tray underneath to catch drippings. Cook for 15 to 20 mins, till it becomes soft. Turn and brush with oil or butter about halfway through grilling. 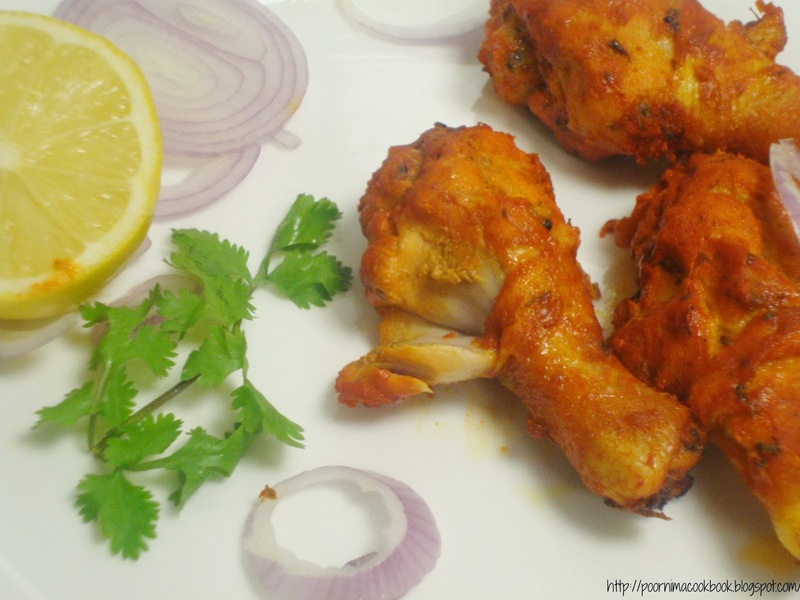 Serve with onion rings and lemon wedges. Adjust spice level to suit your taste. Instead of grill, you may also choose to bake or barbecue, using the same recipe. Super tasty dish suits for this climate. So colourful and appealing and well presented dish. 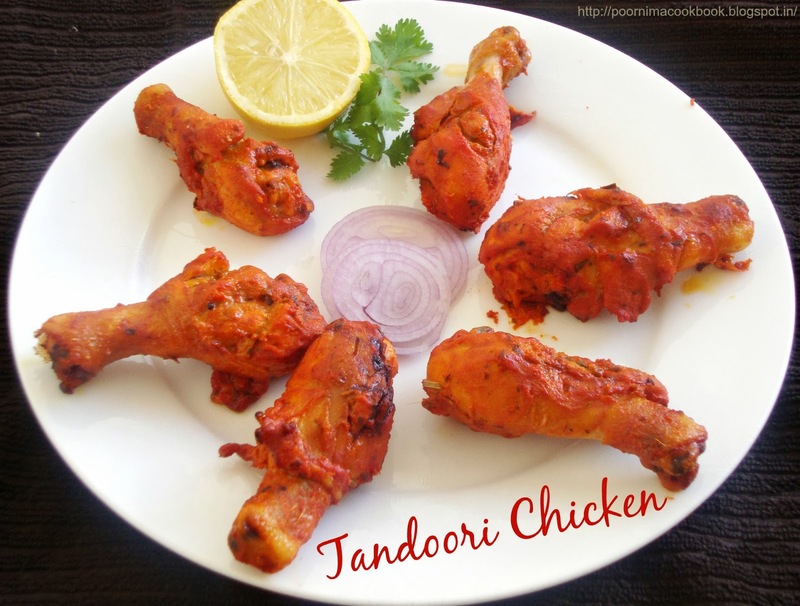 Hmm Very tempting tandoor chicken ...Very well presented poornima..
Hi priya, you made my day! Thanks for your lovely feedback and also for trying out many recipes. I am from pudukkotai district. Please do try out other recipes as well and send food photos to my Poornimacookbook facebook messenger, when time permits. Happy cooking!